If there is one thing Swank prides itself on, it is helping to take care of the local community. With Swank Construction’s headquarters being located within the Kiski Area School District, we were more than willing to help one of its elementary schools in need. East Primary Elementary, located in Vandergrift, started a program called Backpacks to Go, which provides weekend food for students in need. There are currently 60 children who benefit from this program. With the long holiday break coming up, East Primary needed to stock-up their pantry to make sure these kids had food to get them through. 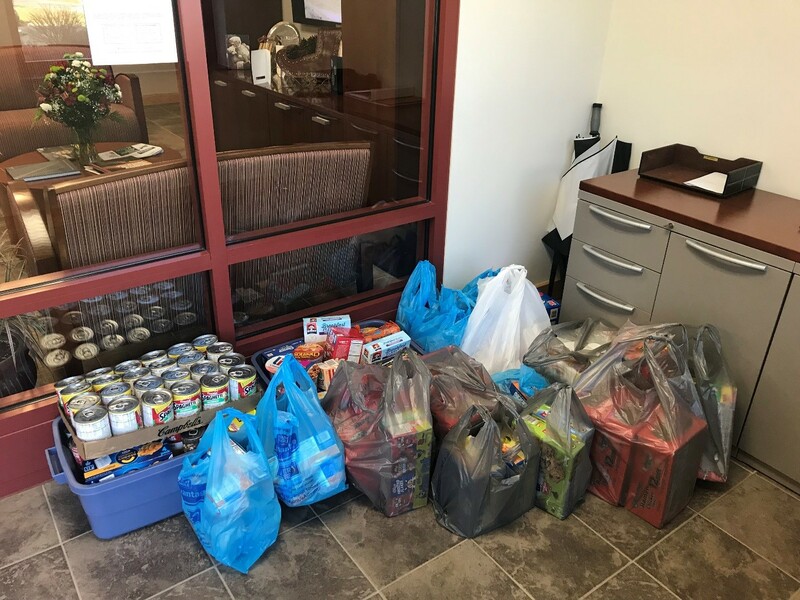 Swank held a “Mini Food-Drive” and over 5 short days collected totes and bags full of food along with $550 in monetary donations. The building Principal was there, along with the Backpacks to Go Program Director, as we dropped off our donations. They were so grateful to know that their students would have full bellies for the holiday break.